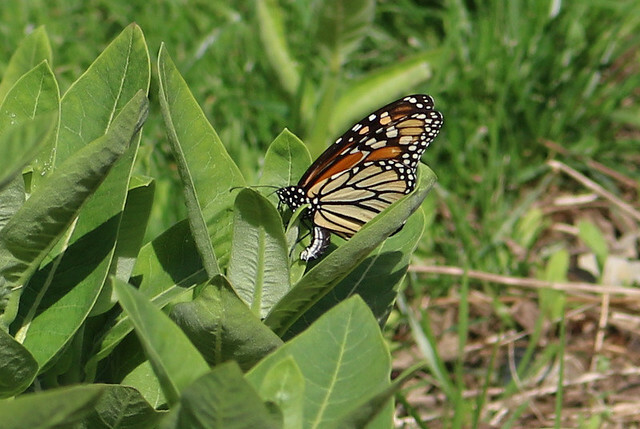 This year the monarch migration from Mexico was earlier than normal. 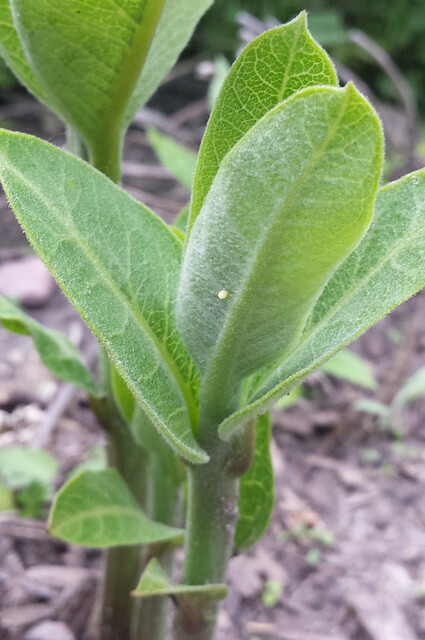 Butterflies started reaching the Twin Cities about two weeks ago, so I have been checking the milkweed every few days but not finding any eggs. Then this evening Bill saw a monarch fluttering in the front yard. I raced out with my camera. 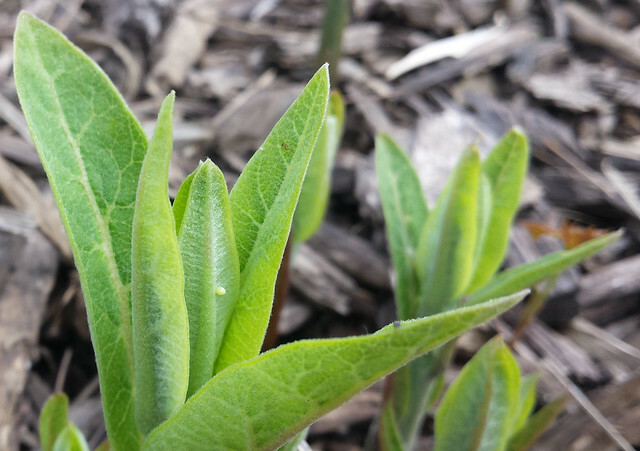 She landed on common milkweed, in a cluster of plants that’s growing outside of the garden in the lawn. While I watched, she paused in the egg-laying pose and then fluttered away, circled the yard, and came back to another plant nearby to repeat the process. Then, in my excitement to see this process up close, I scared her away. (Next time, I will be more cool.) 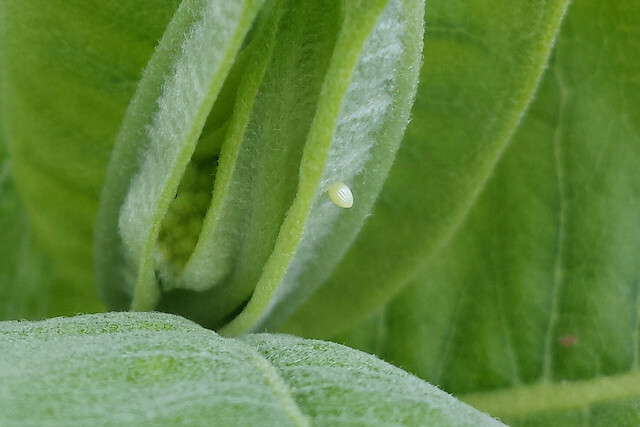 I started checking the plants and found two eggs right away, where I had seen her. Then I moved on throughout the garden. one on an island in the grass. 12 eggs in all! 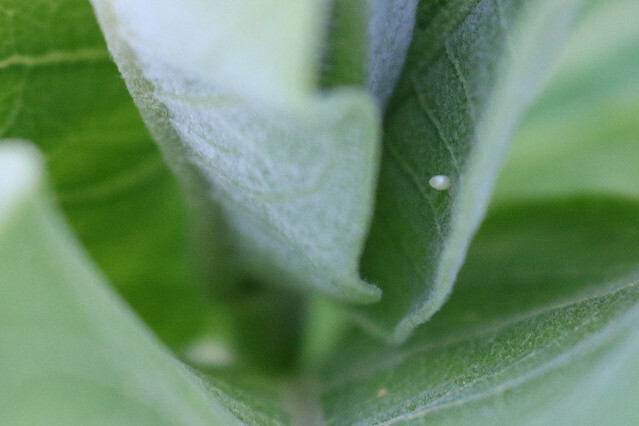 So maybe she was done laying eggs, anyway, and wasn’t bothered by me observing…? 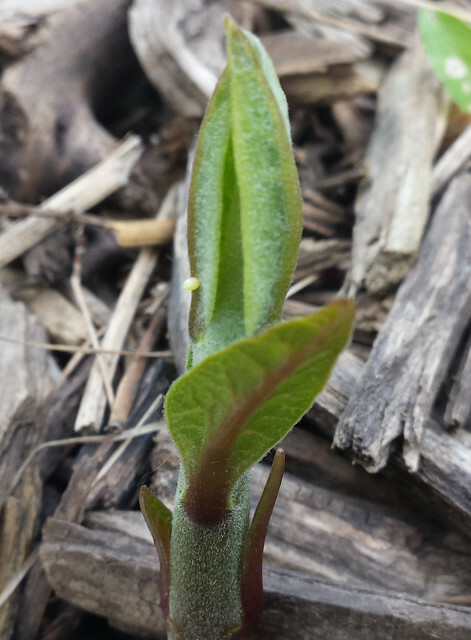 Last year, it wasn’t until July 15 that I saw my first monarch in the garden and September 22 when I saw the first caterpillar. While May 26 feels really early, now that they’re here and the cycle is continuing, it’s pretty exciting. At this point, I’m not planning to bring any of the eggs inside to raise them. It’s only May, and I’m not sure I’m up for an entire summer of cleaning out cages. But once I start seeing caterpillars in the garden, it won’t be surprising if I cave. I was wondering why they were so early! 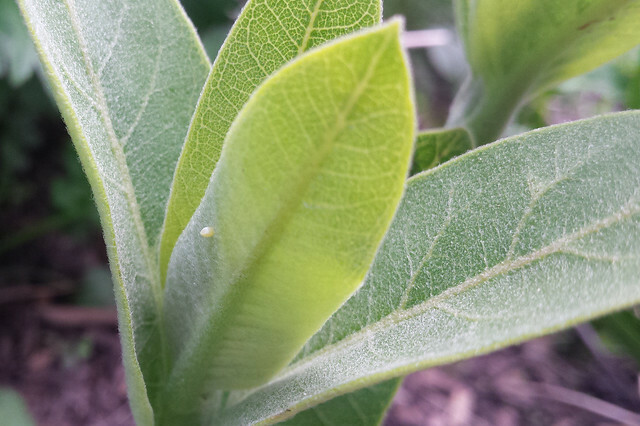 We have 20 caterpillars in our little monarch nursery already, and it is right around 2 weeks earlier than usual. 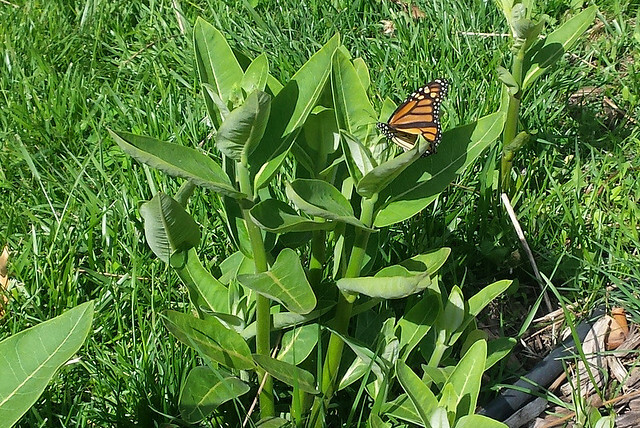 I’m also in the Twin Cities–South Minneapolis near Lake Nokomis, which is why I think we see so many monarchs. 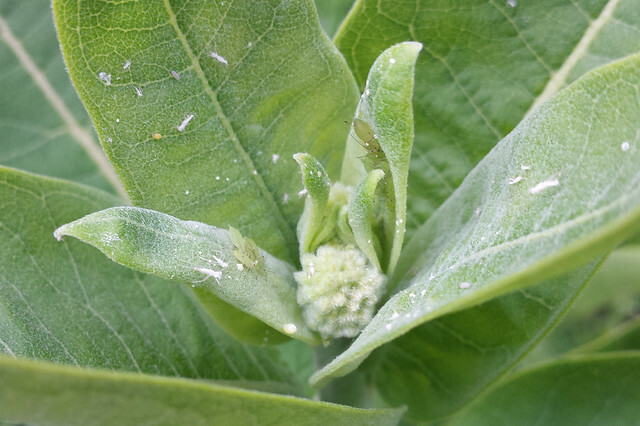 Wow, *caterpillars* already?! Lucky you! I keep checking the eggs every day, but so far they are still eggs.